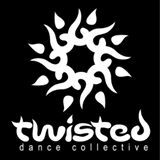 Classes are $12 drop in, or buy a 6-session dance card for $60. Payment can be made with cash, check or credit card. Students should arrive 10-15 minutes before class to pay at the front desk. No pre-registration is required. Also offering private group lessons! Designed with the beginning dancer in mind, this class is a great place to start your belly dance journey. Students will learn muscle control and isolations, posture and basic traveling steps. We will talk about the history of tribal improv dance and learn a few basic steps. Have fun and discover muscles you never knew you had! No special equipment is needed. Most beginning students dance in yoga or stretch pants with either a t-shirt or tank top. Whatever you find comfortable to move in. No shoes are required. Most find bare feet most comfortable. However feel free to wear ballet slippers or jazz shoes if you prefer. First half of class is Drills, second half is using the ‘Drills’ steps in Improv Choreo. You must have experience in Level One: Dance Fundamentals to join this class. No review of earlier moves, so you must have basic knowledge of Levels One moves. Ongoing classes. We recommend that you dance in a full ATS style skirt. Your hair should be away from your face and you will need a pair of finger cymbals. Perfect for L1 and L2 students who have attended classes and just need ”empty brain time” to dance and get the steps into muscle memory. And L3 students who want to dance without thinking to help eliminate “overthink” when you take the leadership position. No verbal instruction, no partners or formations, just follow along and bliss out. Students will learn a style of belly dance known as Fusion bellydance. Tribal Fusion Belly Dance is a modern form of belly dance which was created by fusing American Tribal Style® belly dance and American Cabaret belly dance. Artists frequently incorporate elements from Popping, Hip Hop, 'Egyptian' or 'Cabaret' belly dance, as well as movement principles from traditional forms such as Flamenco, Kathak, Odissi, and other folkloric and classical dance styles.